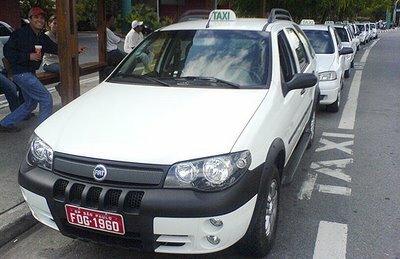 The Taxi Amigão (Buddy Taxi), is a City Council plan organized to provide discounts (30%) on cab fares during the weekend. It will be released Today by the Transport Department. The proposal is to give discount during Friday night and Saturday. It isn't a law, so not every cab is participating at the deal. The City Council is offering advantages for those who decided to get in voluntarily, such as discount on parking tickets and some others. According to the Mayor Gilberto Kassab, hundreds of taxi drivers have joined the project, which aims to reduce traffic accidents and collaborate to the drinking restriction law. Remember to ask the taxi driver. Just opened these days a place you can't miss if you love cakes. 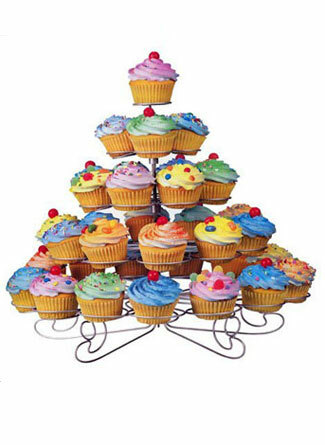 It is called Wondercakes and it is specialized in cupcakes, like small muffins but filled with everything delicious you can imagine. At the moment there are 15 different types but every month the master cooks will be launching a new one. There are also some filled with cheese interesting to try. The Wondercakes is located in Rua Augusta one of the most enjoyable street of the city. Have a try and you'll fall in love for cupcakes. Rhino Pub is a brand new pub established on Moema suburb and the proposal is to offer beer, football and rock'n'roll to the customers. There are 5 plasma TVs inside the bar where is possible to watch a different game on each one (on demand). The bar also offers wireless connection and more than 60 different brands of beer including the Guinness one (but doesn't have agreement with Imbev, so no Brahma neither Skol). 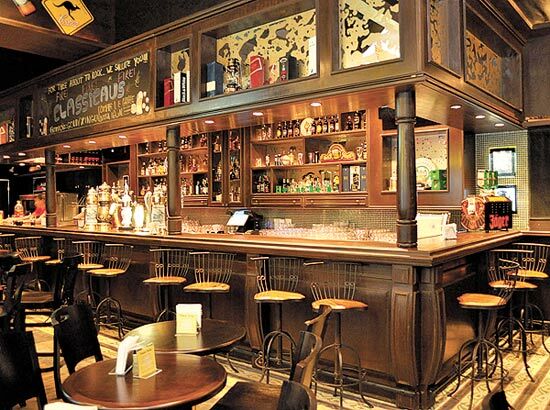 This is bar is a spruced version of an authentic English pub, but at the same time, the rustic decor makes so elegant that becomes a great place to flirt interesting girls and the pub doesn't lack on them. The menu is tasty and offers several classic British recipes on the menu, including Fish and Chips and Onion Rings among many others. 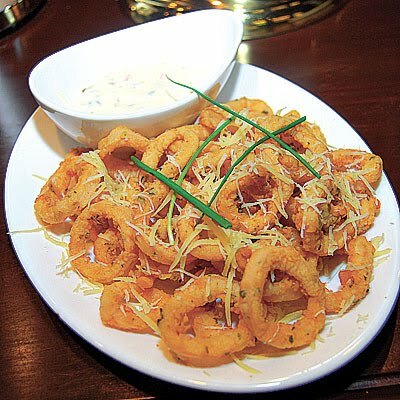 The suggestion goes to the London Eye Calamari (Calamari rings, covered by grated Parmesan cheese plus Crimean sauce). They offer an english menu and the staff is ready to talk to anyone not Portuguese speaker. Rhino Pub is well characterized to represent the supposed story of a victorian British fleet of World War II called "Rhino Squad". 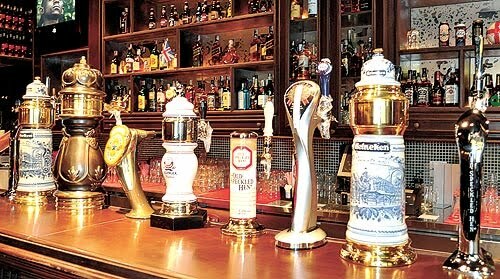 The Pub is based on the aspect of victorian and honor to present. The decoration counts with rhino's heads in everywhere. The bar is very nice and looked out of place. It has some stained glass on the wall, interesting beer tabs on the counter and a spacious stage at the end of the pub. When: Tuesday to Friday, opens at 6pm and closes at 1am on Tuesday, Wednesday at 2am and Thurday and Friday at 3am. Saturday, from 8pm till 5am. 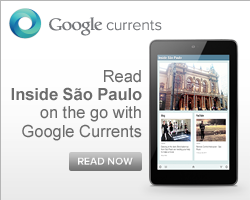 How much: It's free to get in before eleven, but after that its R$ 30 per person. 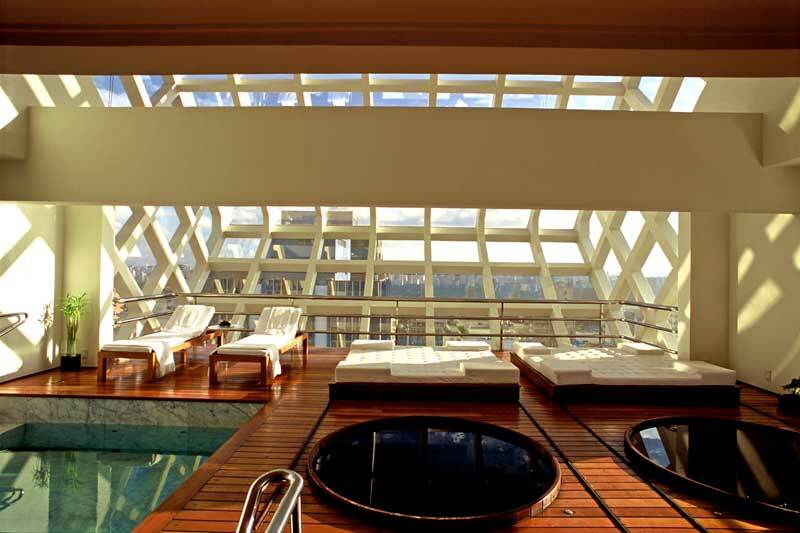 Will this hotel be of your pleasure? The website starting sentence state that the hotel is located in the highest point of the city and for sure will be fulfilling your expectations. 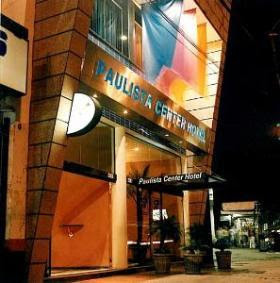 In fact all the services offered by the Paulista Center Hotel makes it a really good place to stay not considering that the position is great, on the corner between Avenida Paulista and Rua da Consoloçao. This hotel seems to offer anything you might need during your stay in Sao Paulo, like for example wi-fi, reservation of tour, renting of cars and of course a great buffet breakfast full of fresh fruit. 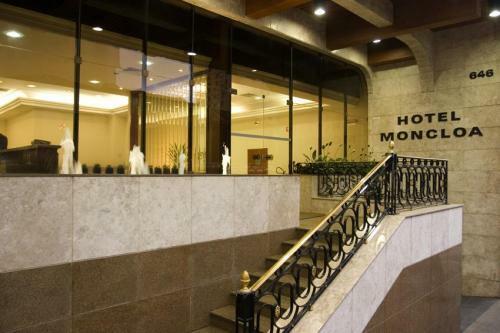 Finally they also offer a conference room for small events (almost 40 people) but they will be happy to answer more informations about their service not forgetting that since 1982 this hotel can be considered a synonymous of great service. According to the Destak newspaper, the pop star Beyoncé arrives in Brazil in the first week of February for shows around the country. According to a source from the Beyoncé's team, concerts in Sao Paulo will be at Morumbi Stadium and should occur in approximately one week after Metallica, which plays on 30 January. Other cities also come on the agenda, but nothing is confirmed yet. Born in Texas (USA), Beyoncé Giselle Knowles is the biggest pop star with her solo career started in the current decade. Her latest album, I AM... Sasha Fierce, scored the songs: "If I Were a Boy", "Single Ladies," "Halo" and "Diva". In her concerts, Beyoncé has included songs from Destiny's Child and a cover of "You Oughta Know" Alanis Morissette's success. Currently there is great speculation about the possibility of Beyoncé joining the Carnival of Salvador together the famous Brazilian artist, Ivete Sangalo. The Carnival begins on February 13 (Saturday) and coincides with the time that Beyoncé's tour will be in Brazil. The inclusion of international artists on the agenda of Bahian Carnival is not a novelty. 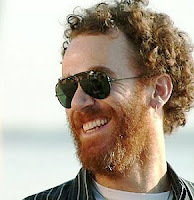 Bono Vox of U2, and top DJ Fatboy Slim, were among those who have already passed through Bahia. 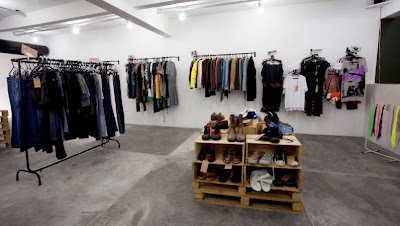 Super Cool Market is a shop addressed on Vila Madalena suburb, where it's possible to buy cloths and sell your old ones. 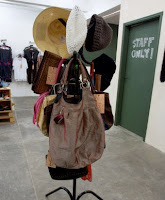 It is a sort of second hand shop, where they also sell brand new accessories, shoes and whatever you need to be up to date. They've got European inspiration and believe it's possible to be fashion without spend to much money. 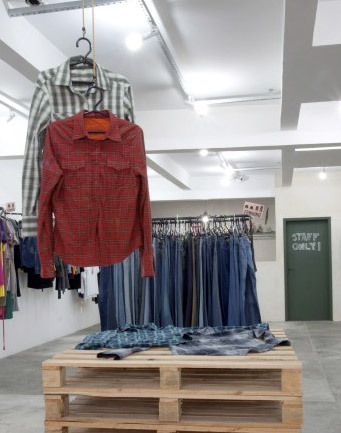 For those who take cloths to the shop, there is the possibility to change them for other ones or just to get money instead. Beyond that, there is a space for new stylists and exclusive fashion. The very old cloths, that have no chance to be sold, go directely to charity institutions. Every month Super Cool Market choose a different institution to deliver. Call your friends and have a step over there. There are several pubs very close to the shop. When: Monday to Friday, from 11am to 10pm; Saturday, from 11am to 6pm. 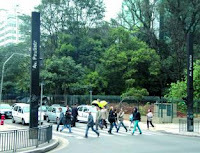 Sao Paulo is well known for its chaotic traffic. For too long the government has been investing in public transport in order to diminish — or at least prevent the increasing — long kilometers of daily traffic jams. The council has investing in public transport, such as the construction of the Yellow Line of Subway, scheduled to be delivered in the first half of next year, connecting with Line 1-Blue (Luz Station), Line 3-Red at the (República Station), Line 2-Green (Consolação Station) and Line 7-Celeste (CPTM Pinheiros Station), near the East Marginal Pinheiros River. Last November 16th, CPTM (Paulista Company of Metropolitan Trains) registered 2.1 million passengers in a single day. 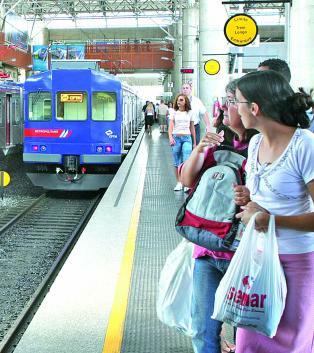 The reasons for the increase were three: the growth of users outside of peak hours (from 8am to 5pm), increase the fleet and reduction in the interval between trains. 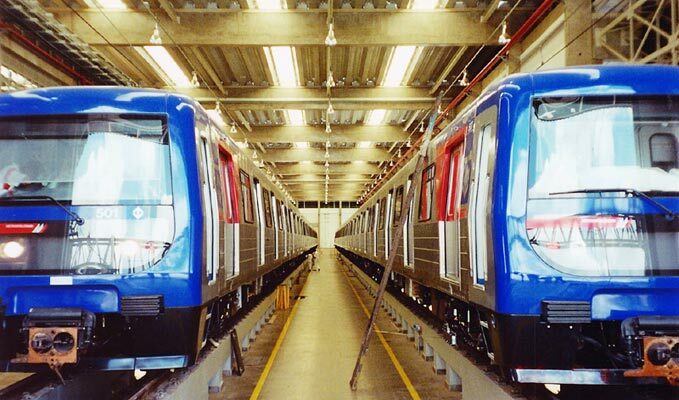 The Subway department has recently conducted a survey that found out that most users of the system have a car. Research indicates that 56% of users get public transportation because of the traffic jam. A traffic consultant named Horácio Figueira conducted a visual survey on 4 great avenues of the city and found that of 10 taxis passed, only 3 were passengers in peak hours. The reason is the fare. The city council already has a project that proposes 30% discount on the fare on Friday night and whole Saturday. The proposal is still being evaluated. The point is the fact that investments still being made and the population seems to be adhering to the facility. The only question is whether the latest facilities to buy brand new cars will not overlap the delivery of public transport projects. The guitarist Mick Taylor, who played on the Rolling Stones is planning to come to Brazil in 2010. The 61 years old British musician — the youngest among all the members on the history's band —, arrives in May for undefined schedule and locations yet. 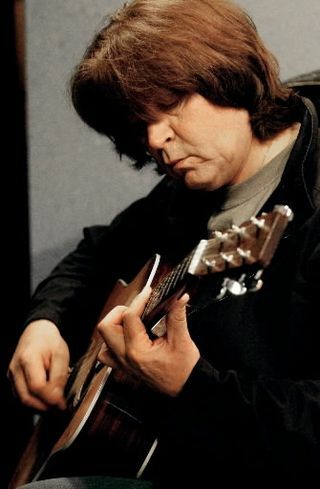 Taylor, who recorded classic albums with the Stones, such as "Sticky Fingers" and "It's Only Rock 'n' Roll", will be in the country until the first week of June. The guitarist has played concerts regularly, especially in Europe, which is usually cast as attraction in bars and blues festivals. Mick Taylor joined the Rolling Stones after the death of Brian Jones in 1969 and stayed until 1975. 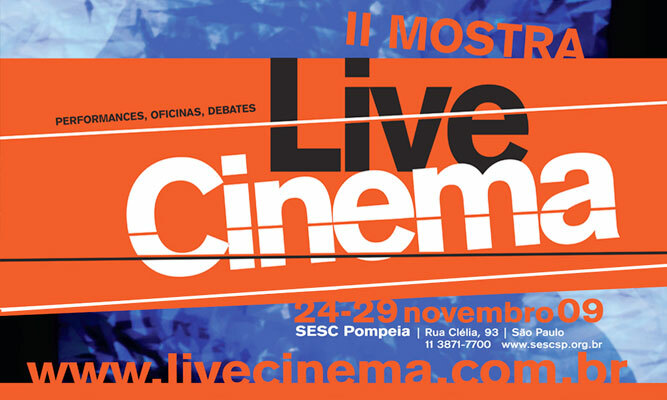 From November 24th to 29th, Sesc Pompéia will be hosting an amazing event called II MOSTRA LIVE CINEMA (2nd Live Cinema Exhibition), where artists will be interacting sound and images during average 20 min. during a live presentation. 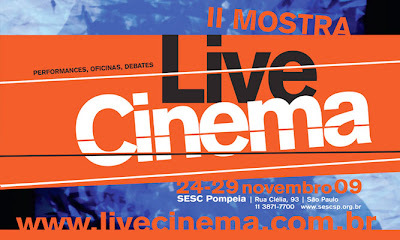 Differently from the last century concept of “Live Cinema”, which referred to a movie screening and alive music, the contemporary definition of “Live Cinema” refers to the simultaneous display of sounds and images by visual artists who also offer live presentations for the audience. It's sort of a movie DJ, where is possible to see some images plus improvisation to create something unique for every single presentation, increasing the experience for the audience. The artists involved on this project have a chance to deliver their own believes and backgrounds on "Live Cinema" and offer an interesting audiovisual experience. One of the event's highlights is the renowned Japanese artist Daito Manabe. 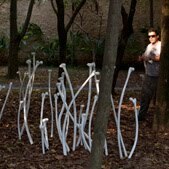 He is famous on the Youtube (insidesaopaulo strongly recommend a visit to his page) by the way he uses technology to produce art. 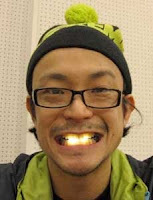 In São Paulo, Manabe has prepared a presentation called "Face visualizer, Instrument and Copy", where he places some sensors on his face to produce sound by his movements, as you can see on the video bellow. His presentation takes 20 minutes and he is scheduled to November 24th (Tuesday) at 8pm, Nov. 27th (Friday) at 2pm for a speech and 9pm for a presentation. Among the artists, is also possible to find: CLAUDIO CALDINI, HOL, BETO BRANT, PANETONE E DIGWU, DUDU TSUDA, MARCUS BASTOS E KARINA MONTENEGRO, DUO N-1, TOMAZ KLOTZEL, DADA ATTACK E FERNANDO TIMBA, BRUNO VIANNA, FERNANDO VELÁZQUEZ E FRANCISCO LAPETINA and ALEXANDRE CARVALHO. As a brand new concept, it's definitely a worth visit for the cinema lovers. When: November 24th to 29th. Click here to see the program. Here something you can do this week for free, let us know if you have some other suggestions. Buddy Guy and Dianne Reeves, icons of blues and jazz respectively, will perform free in Sao Paulo on November 29th. The event Telefonica Open Jazz, who has already brought in the country shows of Herbie Hancock, Macy Gray, Diana Krall, will happen on the stage at Parque da Independencia from 4 pm. When: November 29th, at 4 pm. 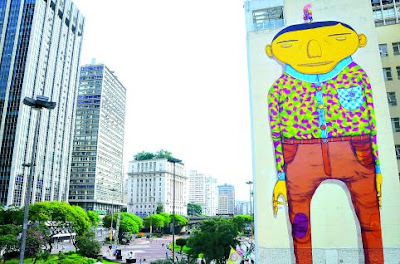 The Museum of Brazilian Art of FAAP presents for the first time in Sao Paulo, the exhibition Vertigo, of OS GEMEOS. They are pioneers in the national graffiti. The exhibition brings together works that reflect the sensitive view at the Brazilian urban daily life. We already talked about them and there is still the possibility to visit their exposition untill December 13th. 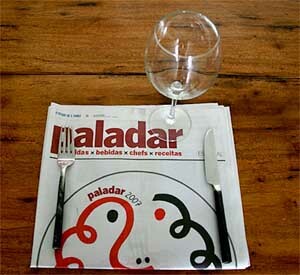 Since 2006 the Premio Paladar (something like Taste Award), sponsored by the newspaper Estado de Sao Paulo choose the best dishes of the city in various categories. Throughout the year, the team selects the participants and now gourmet cooks and experts scour the city's restaurants tasting all the dishes anonymously. All the votes of the jury are made after a visit to the restaurant, not accepting votes from memory. The restaurants selected for the fourth edition of the Award represent the different styles of dining scene in São Paulo and all the winners of the traditional categories and also some new categories will be announced on November 25th at a big party. The public can also vote so choose from the list your favorite or the one you always wanted tried but neve had the chance and take part at the Award! 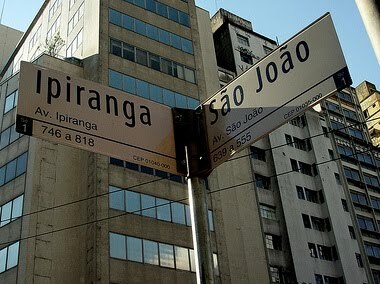 This is really a new entry in the hostel scenario of São Paulo. This is good because it means tourists are finally seeing the city as interesting to know and not only a place where to make a connection for other destinations. 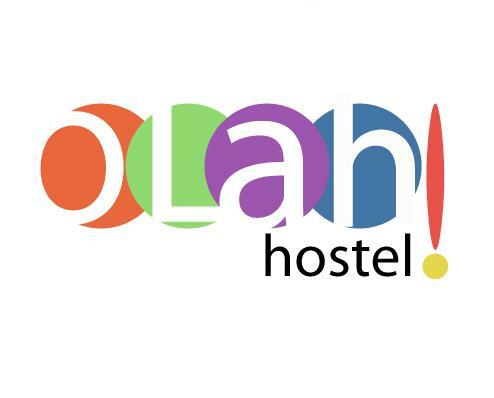 The Olah Hostel open last month, October 2009, and its goal is of course the one of welcoming all travelers, providing a relaxing environment, giving the opportunity to all the guests to fraternize, to exchange experiences and to have lots of fun. 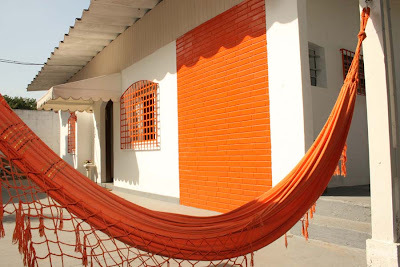 The position of this hostel is of course well chosen because Vila Mariana is a really cool suburb, full of nice place to go at night and pretty safe, besides the metro station Ana Rosa is just few minutes walking. One plus is of course the garden, really nice to chat with friends or eat a meal after cooking in the well furnished kitchen. As all the other hostels we already wrote about, even Olah Hostel staff will be really happy to help the guests getting to know Sao Paulo and to give precious information. How much: R$ 25 per person for the shared room, R$ 50 per person in the double room. 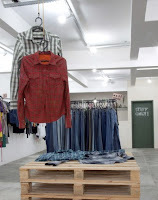 When: Until November 21st, Tuesday to Friday, from midday to 8pm; Saturday, from midday till 6pm. 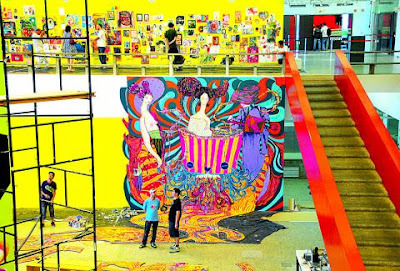 This exposition will take place in the most important museum in Latin America, the MASP. 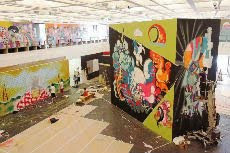 It will start tomorrow, Friday 20th, and it is totally something different from the usual exhibitions taking place there. It is called "De dentro para fora/De fora para dentro" (From the Inside to the Outside /From the Outside to the Inside). Six graffiti artists will exhibit their production through murals, screens, interactive installations, photographs and video. The work is the result of the current buzz around the so-called street art. According to the curator of MASP, Teixeira Coelho, the institution has been discussing for a while the way to explore the street art. The purpose is double: to attract the younger crowd and to open the eyes of elderly people. The entire basement of the building designed by Lina Bo Bardi (1914-1992) will be taken by huge murals, walkways, benches for the public to sit and even a room for visitors to write on the wall. The library of the building will be stocked with publications related to comics, tattoos and animations. The six names exposing are refursing the title of graffiti creator. 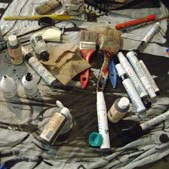 According to them, the classification can be applied only to those who produce works in the street. Titi Freak, featuring a panel of 7 meters, for example, is influenced by Matisse and Picasso and also by fashion and comics. 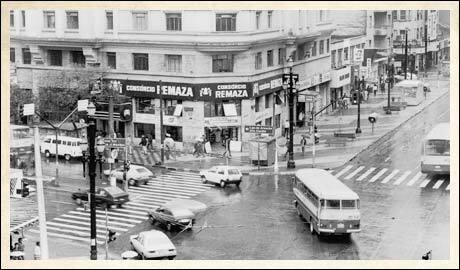 Zezão dialogues with video art and exhibits photos of the city life. Stephan Doitschinoff will discuss issues such as guilty and redemption. To finish to name them, the others are Carlos Dias, Daniel Melim and Ramon Martinez. Everyone began to deal with the spray in Sao Paulo. 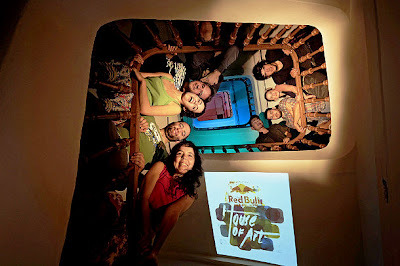 "The life of the city is a school" says Low Ribeiro. "And the richest of all." 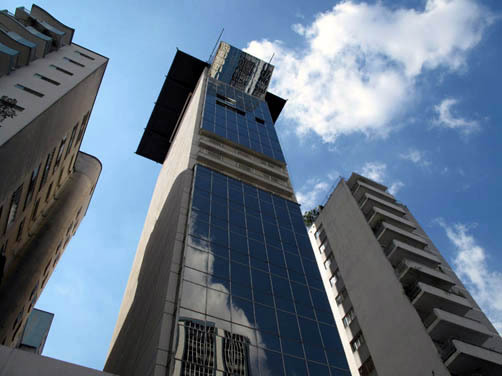 The Ca'd'Oro was the first five-star hotel in Sao Paulo, starting its activities in 1953 as a restaurant. Owned and operated by the family Guzzoni who used to work in the European tradition high-class hotels since the beginning of last century. This factor is evident in the style and decoration of the apartments, in its magnificent collection of works of art, their suites and the high level of services. This tradition passed from father to son for almost a hundred years is diligently defended by a team of high profile that gives the Ca'd'Oro the title of a true "GRAND HOTEL". Since its foundation until today, the hotel received the most important figures who visited Sao Paulo. All this tradition and its style did not prevent the hotel to modernize technologically, having all the modern equipment and facilities (wi-fi in the all building) and with its excellent restaurant, is able to serve a customer that seeks something different from the standard global and impersonal hotel. It's important to remind that even the name has an historical origin since Ca'd'Oro is the name given to a fifteenth century palace located in the Grand Canal in Venice, now a museum, used in the past to receive distinguished guests (DOGI). In Venetian dialect means House of Gold. The services they offer are not those of a normal hotel, in fact it is possible to organize wedding, to have conferences, and great dinners since the restaurant offers traditional Italian home made food. 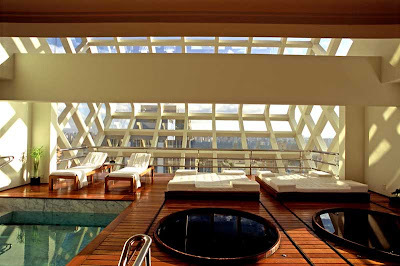 How much: from R$ 265 per room. 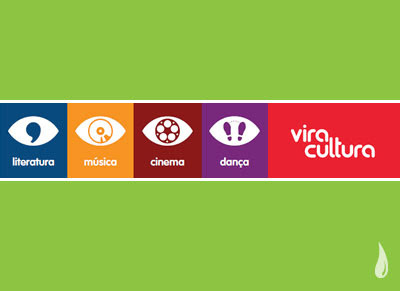 We love him so it is a pleasure to inform that at the Centro Cultural Banco do Brasil all his 40 movies will be shown during almost four weeks. This could be a great occasion for lovers to assist again their favorites movies or for people who don't really know this genius to get closer to his work. The retrospective is really well organized since there will be debates and a course with specialist but also there will be movies that inspired him or about him. Have a look at the program and choose your favorite. When: From November 18th to December 13th. Find out more through the program. The Festival Municipal de Circo (Municipal Circus Festival) will take 250 artists to the Vale do Anhangabaú, from today until Sunday (November 16th to 22nd). There are four sessions per day (10am, midday, 2pm and 6pm) with all sort of attractions. The event is divided into three parts. There is the Palhaçaria Paulistana, which happens for the fourth time, a competitive presentation at the Olido gallery, from the Memorial Center of the Circus. The largo do Paiçandu receives part of the program, which turns the center of Sao Paulo in a large arena during six days. The Vale do Anhangabaú is the main circus tent, with capacity for 400 people and an outdoor trapeze. 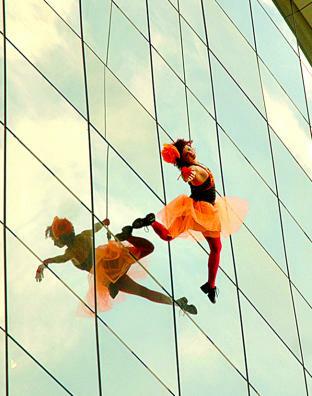 On Saturday 21st, the largo do Paiçandu houses jugglers presentation, from 11am to 4pm. The place was chosen because on the past, every Monday, the artists used to have meeting over there. 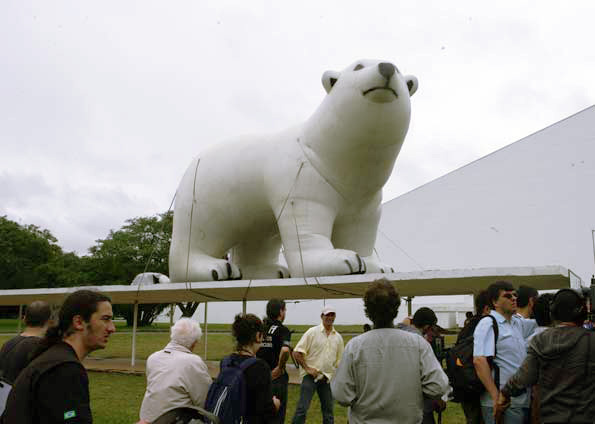 Also the attraction of the festival's opening will be mounted in largo do Paiçandu. Today, at 5h30pm, the site will have a "wall of death" to be viewed from a grandstand for 300 people. Among the groups of the event is Ares, who will make performances in the gallery Olido. All with input from SP franca. When: November 16th to 22nd, at 10am, midday, 2pm and 6pm. Sampa Hostel is a nice place in the heart of São Paulo, at Vila Madalena, the charmy and cosy region full of bars, restaurants, discos, art galeries, and much more, and all of it very near from the subway. 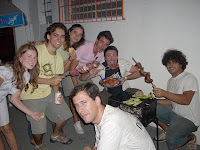 Sampa Hostel stays in a big house, cosy and with large enterteinment area. 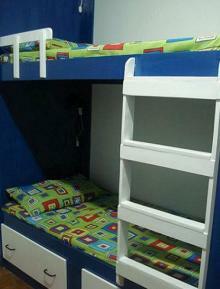 Any kind of room and everything you might wanna find in a hostel during your stay. 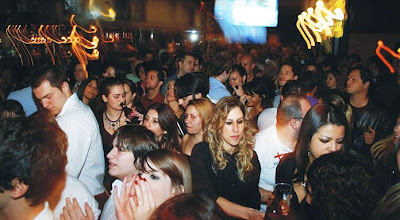 Something that could push you choose this hostel is also the Pub Crawl every week around Vila Madalena! This would be really fun, because this Pub Crawl is usually happening in every European city. People who really knows the best places to drink and dance will bring you around giving the opportunity to get to know better the city night life. Ask more to the staff, we are pretty sure it will be fun and you will get to know other travellers!